Mixing device specification and operational procedure are contained in API RP 10B. 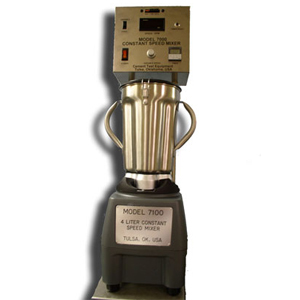 Specifications are given for the mixer blade speeds, wear, batch size, and time. Typically, 600mL of slurry are prepared. The mixer is operated at 4,000 rpm for 15 seconds (during which all of the cement solids should be added to the mix water), followed by 35 seconds at 12,000 rpm. Cement slurry is very abrasive and careful monitoring of the mixer blade condition is essential. CTE mixers contain timers which stop the mixing automatically after a set time. 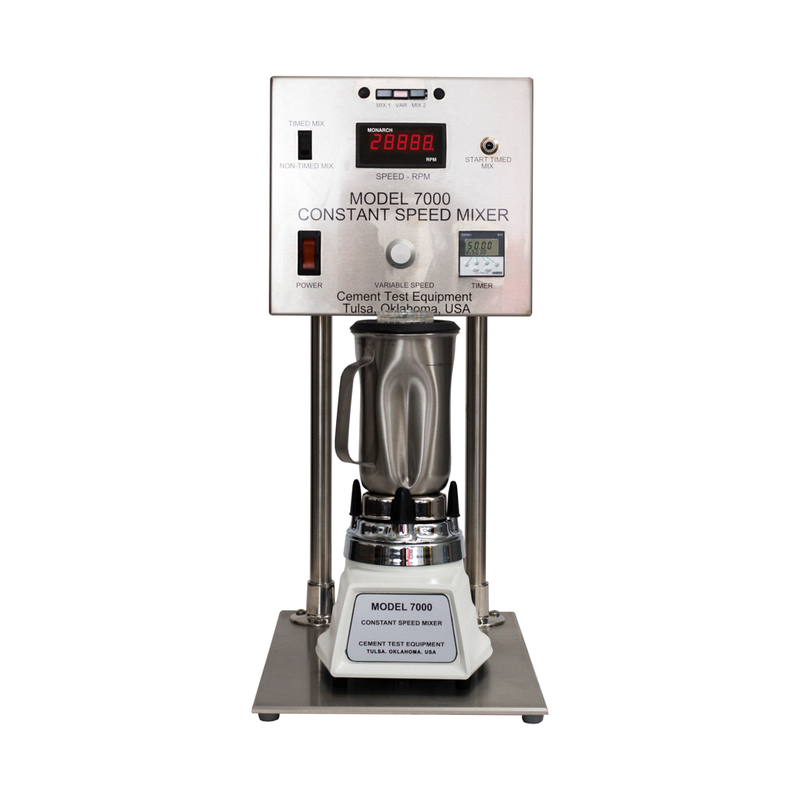 Manual operation mode where time and mixing speed can be adjusted. 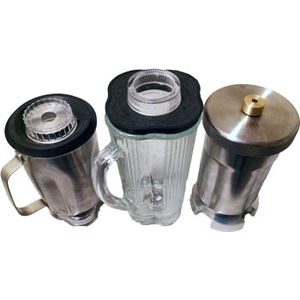 CTE offers several types of mixing containers including those made from glass and stainless steel. Also available is a stainless steel container for foamed cements.